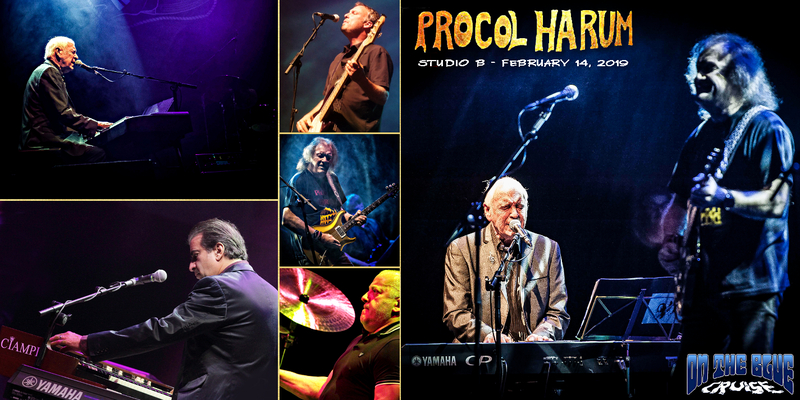 Having missed Procol Harum on Day 4 due to an agonizing conflict, I decided to leave Al Stewart (Vol 296) early to ensure a good recording location for this show. Turns out there was plenty of room on the floor but I didn't want to risk being late due to what were generally ridiculous lines outside Studio B. 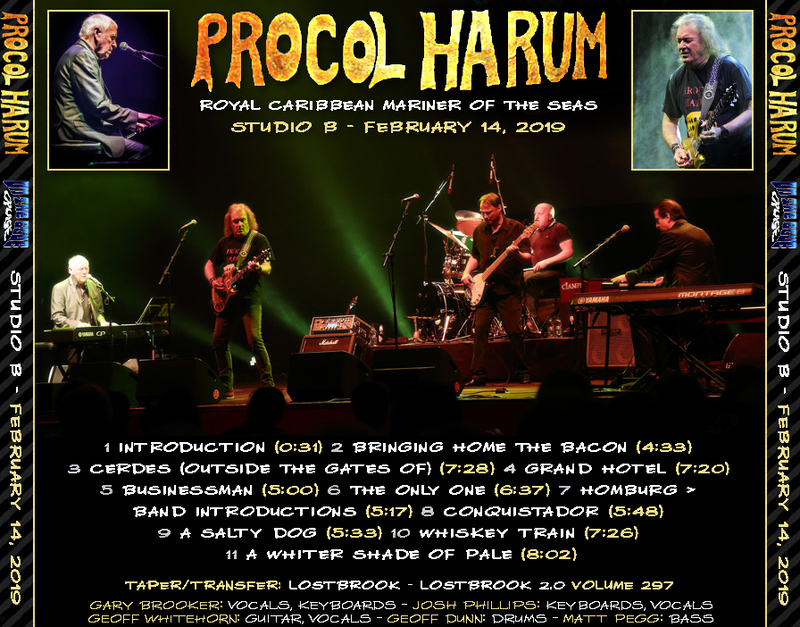 This performance was easily one of the highlights of the cruise, and having seen Procol Harum in 2014, this was no surprise. The songs from Novum were excellent, and maybe I had been cruising too long, but I found myself a little misty-eyed during A Salty Dog and A Whiter Shade of Pale. Too many nights skipping "the light fandango?" My "tears were tears of joy."